In our home, we each have our own quiet time in The Word and prayer when we get up in the morning. But we also have a time together in The Word in the evenings. I truly believe a daily family Bible time is so important. 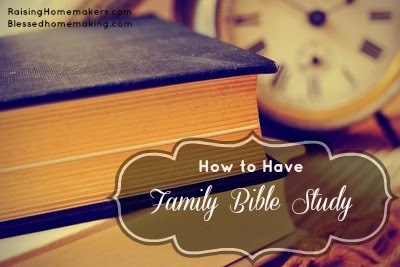 Please join me at Raising Homemakers today as I share how our family has Bible time together.